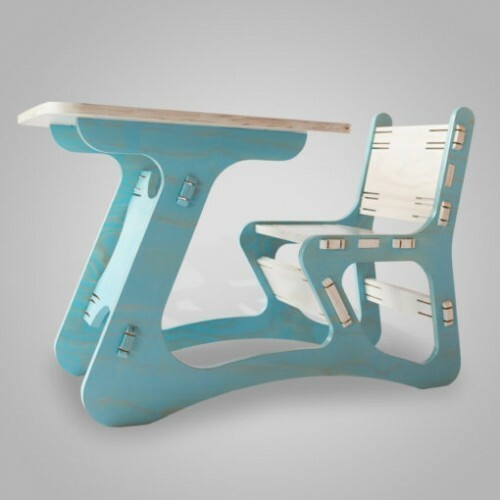 Playful desk that comes with a seat, beautifully made like a puzzle for easy assembly. Combine any two colours of your choice at no extra charge. Slatted ChairHeight: 96.5cm Width: 42.6cmDepth: 41..
SK Chair - slatted,fits any kiddies deskH: 87.5cm ..